The Macau authorities collected more than MOP10.19 billion (US$1.26 billion) in revenue from the gaming industry last month. Data released by the government, indicating the general health of its coffers, shows direct tax on the gaming sector accounted for about MOP8.79 billion at the same stage last year. The January data, published on Monday, indicated that revenue from gaming collected so far in the calendar year, accounted for 10.4 percent of the nearly MOP98.23 billion the government forecast it would collect from gaming operations in Macau for the whole of 2019. In the 2018 budget, the government had estimated that MOP82.41 billion would be collected in direct taxation from gaming for that calendar year. Macau taxes the gross gaming revenue (GGR) of the casinos at a rate of 35 percent but other levies on casino gaming elevate the effective rate to 39 percent. Total tax revenues on the Macau gaming sector include levies on the income of traditional Chinese lotteries, greyhound racing, horse racing, instant lotteries and tax on commissions earned by promoters of gambling junkets. 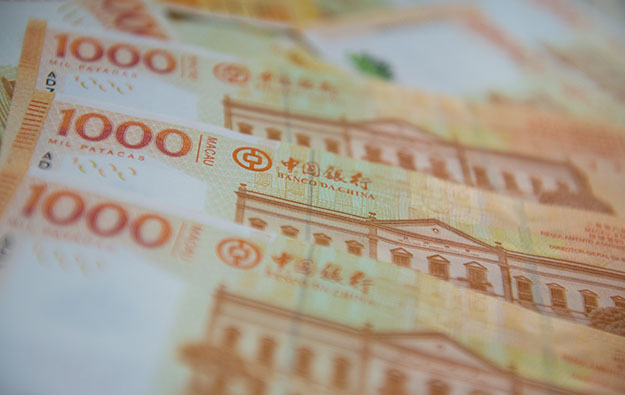 Last December, the government said it had collected nearly MOP97.88 billion in direct taxes on gaming in Macau in the first 11 months of 2018 – 14.1 percent more than in the corresponding period in 2017 – according to data from the Financial Services Bureau. In calculating its budget, the Macau authorities tend to be conservative about estimating the amount of revenue derived from gaming. The government has budgeted for current revenue of over MOP114.99 billion from all sources this year and for current expenditure to exceed MOP78.34 billion.